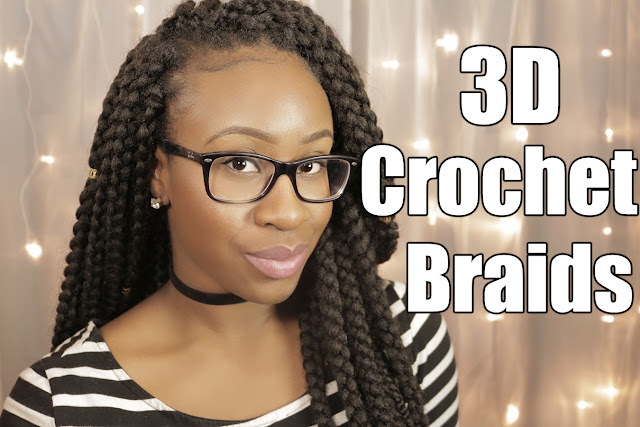 After several requests to do a review of my 3D Crochet Braids and how I moisturize it, I decided to do a video to capture my overall experience. Collagen is made up of small peptides obtained through the process of hydrolysis. Hydrolyzed Collagen absorbs and temporarily bonds to the hair. Hydrolyzed Collagen aids in fortifying and strengthening the hair from the inside out preventing breakage. 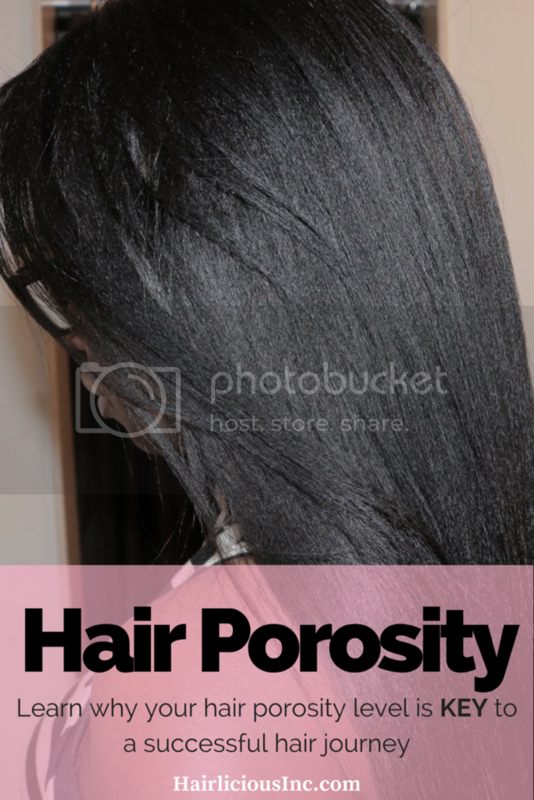 It creates a protective shield over the entire hair shaft helping to prevent damage. Hydrolyzed Collagen enhances the appearance of your hair by increasing thickness, sheen, elasticity and softness. Do you use any products that contain Hydrolyzed Collagen? 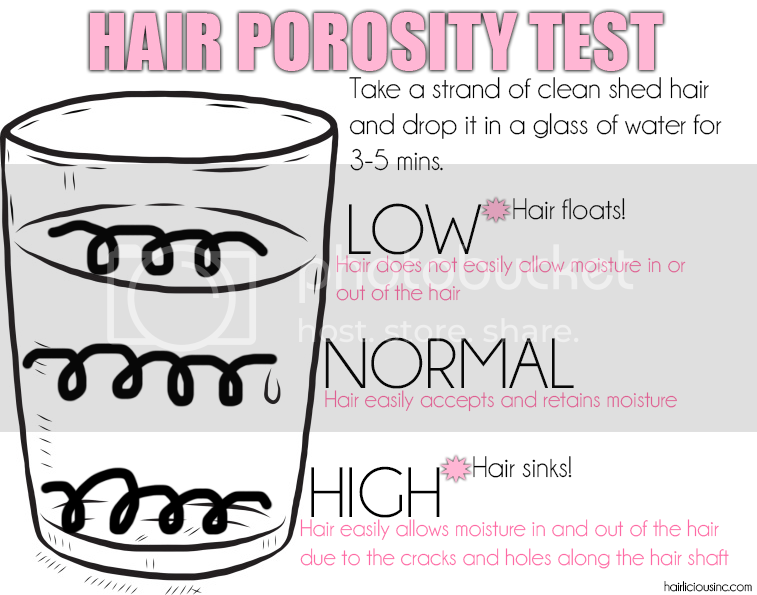 When it comes to Healthy Hair Management, the elasticity level of your hair is extremely important. Well, what is elasticity anyway? 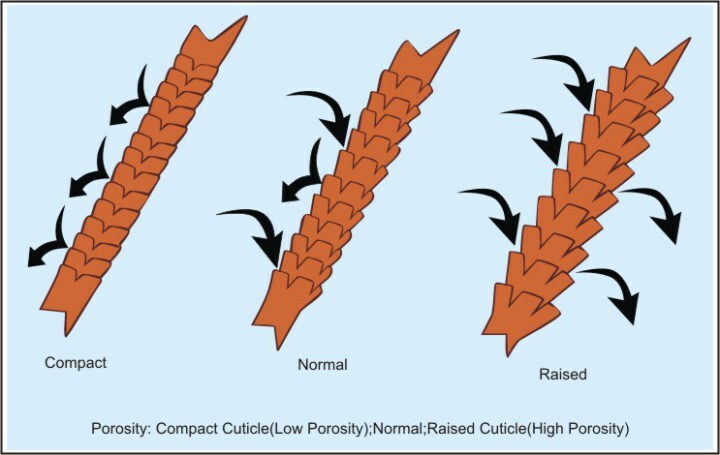 Elasticity is your hair's ability to "withstand tension and bounce back easily after extension with minimal breakage"*. Hair is elastic - to put it simple! Having optimal levels of elasticity gives your hair s t r e t c h i n g power that allows your comb to easily move through your hair without breakage from the manipulation. 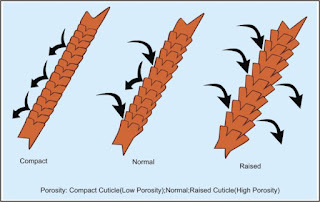 Lack of elasticity causes your hair to snap off and break at every little tension placed upon your hair. 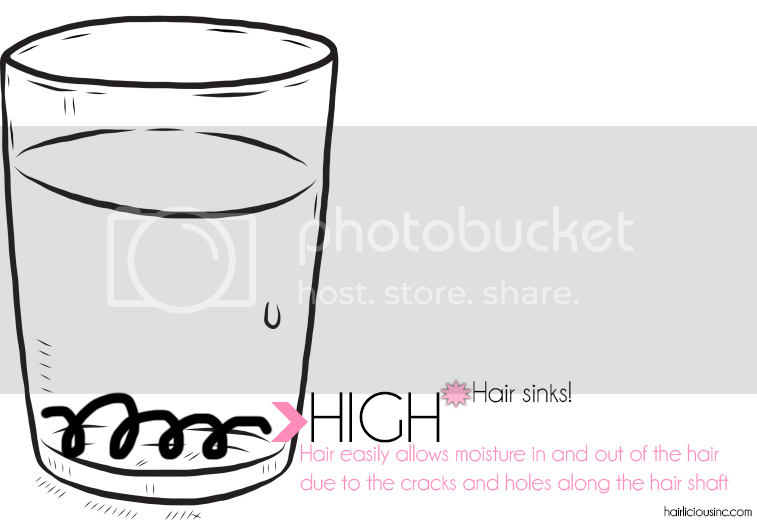 So essentially, increasing your elasticity means increasing the moisture levels in your hair. Extra Virgin Olive Oil is known to penetrate into the hair cortex up to at least 25%. The fatty acids aid in improving the strength and elasticity of the hair strand. With frequent use as a pre-shampoo or mixed into your deep conditioner, you will notice improved stretching power in your hair. Wet hair is naturally more elastic than dry hair. Frequent washes and moisture conditioning treatments will help moisten your strands and relax the hydrogen bonds in the cortex improving the hydration levels and elasticity in each strand. Note, proper protein dosages are also needed to resist breakage. Well moistened hair will return to its original state when stretched, rather than snap off and break when dry. Baggying your ends, or entire head rather, creates an environment where the plastic bag traps heat helping to re-activate your moisturizer. This draws moisture and softness into the hair thus increasing your hair's ability to stretch beyond its original length and return to its original state without breaking. The liquid, oil, cream & liquid, cream, oil methods are ideal for locking moisture into the strands. The retained moisture enhances the elasticity while easing possible stress in manipulation and friction. Steaming releases warm water vapours as opposed to dry heat accompanied by hooded dryers. While steaming, the warm water vapours easily seep into the strands increasing hydration and the penetration of the conditioner. 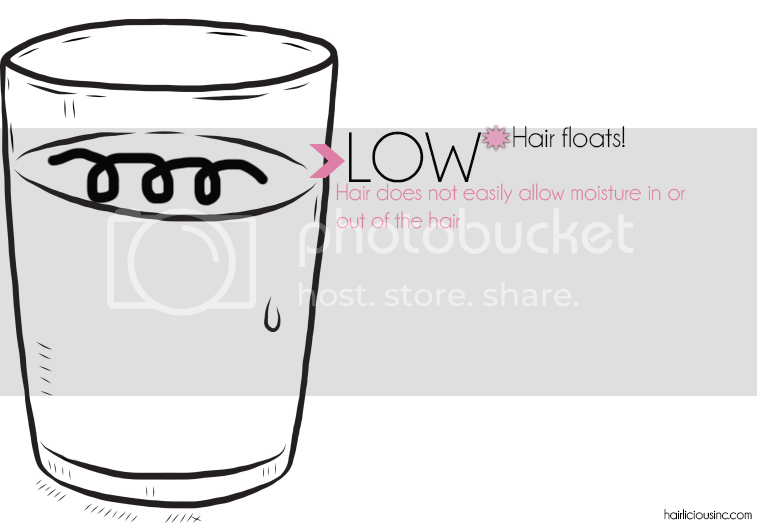 Remember, increased elasticity will be present in effectively moistened hair. Promises: Our specially crafted formulas include a botanical blend of Coconut milk and Aloe Vera. The system gently cleanses while smoothing and nourishing hair to leave it feeling moisturized and beautifully soft. No paragons. No dyes. Silicone-free. Safe for colour treated hair. Directions: Start with TRESemmé Botanique Nourish & Replenish Shampoo. Squeeze a generous amount of conditioner into palm and rub hands together. Apply to damp hair focusing on ends to mid-lengths first. Then work any remaining conditioner up towards the roots. Leave in for 2-3 minutes then rinse thoroughly. To maximize nourishment and a moisturized feeling follow with TRESemmé Botanique collection treatment products. Ingredients: Water, Cetearyl Alcohol, Stearamidopropyl Dimethylamine, Cocos Nucifera (Coconut) Oil, Aloe Barbadensis Leaf Juice, Cocos Nucifera (Coconut) Fruit Extract, Fragrance (Perfume), Behentrimonium Chloride, Dipropylene Glycol, Lactic Acid, Potassium Chloride, Disodium EDTA, Methylchloroisothiazolinone, Methylisothiazolinone. Truth: My sister recommended this conditioner for me to try out as a co-wash and I fell in love with it. Not only does it moisturize my 4b/c relaxed hair, but it easily detangles and smooths out my hair so well without the use of silicones! I have used it as a leave-in conditioner mixed with water and a bit of glycerin in a spray bottle - my hair just loves it. My new growth is thanking me! This combination helps to increase and retain the moisture in my hair while I protective style throughout the week. My leave-in mixture has made my hair much more manageable. I highly recommend this as a co-wash, for those who are all about that "'cone-free" life! It's also perfect for those who are looking for a daily moisturizing spritz! Price: $5.96 CAD 26 Fl. Oz. 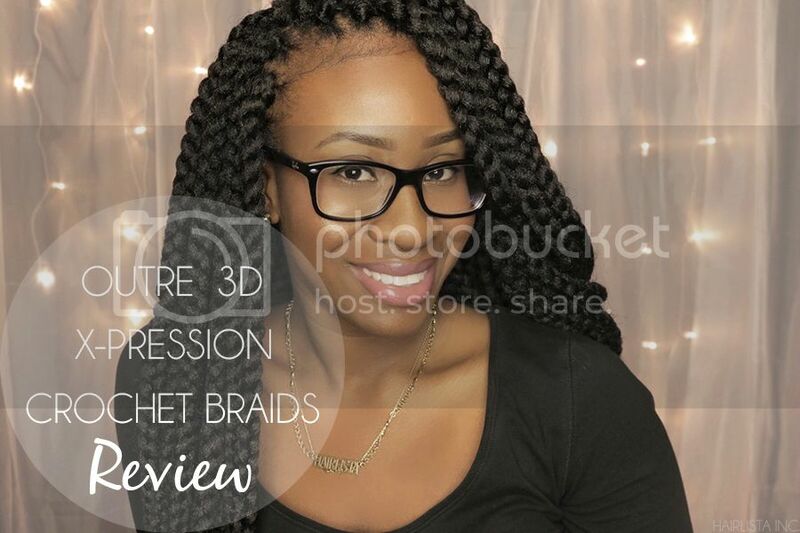 Here are my 4 go-to styles I've been rocking while wearing my crochet braids. 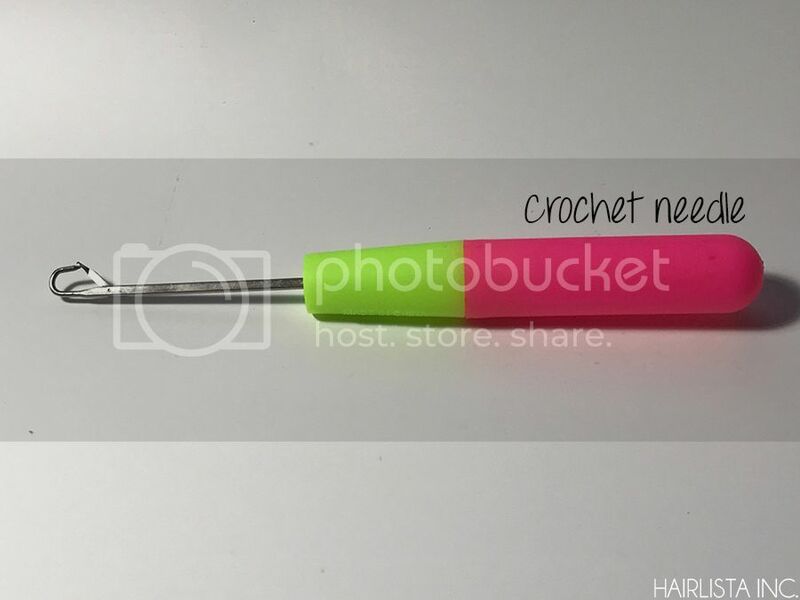 They are super easy, cute, great for different occassions and gentle on the scalp. Step 1: I place my hair accessories in my braids in areas that I like. You can get them at any Beauty Supply Store. Step 2: I then start my flat twist from the right ear taking a few braids at a time. Step 3: I continue twisting until I reach the left side all the way down to the ends. Step 4: I grab a few bobby pins to secure the flat twist at the back. All done! Step 1: I grab a small section of hair (6-7 braids) at the top of my head. Step 2: I begin to twist the small section of braids around in a clock wise motion. 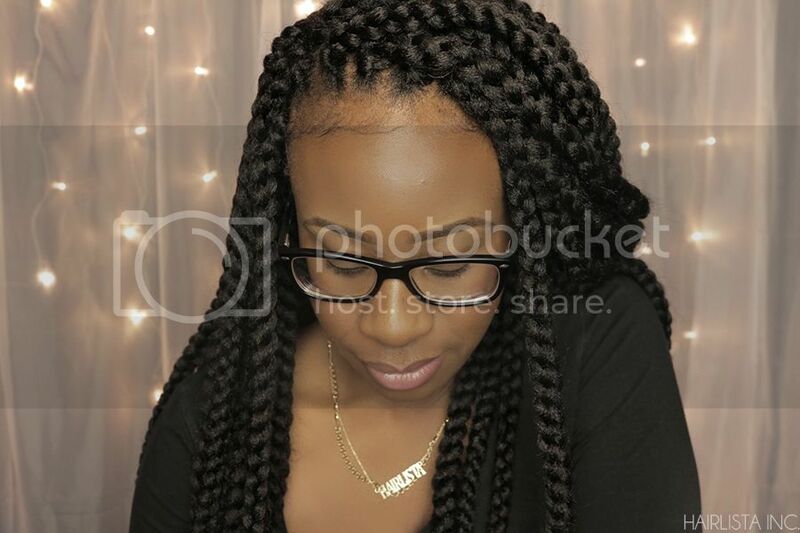 Tucking in any braids that may stick/pop out. Step 3: I secure it with 1-2 bobby pins and thats it! All Done. Wearing my hair down with a side part is a classy and elegant go-to look (perfect for the holidays) that doesn't require any steps to achieve - simply part & go! My other simple style, with the middle part and two twists at the side, is very easy and chic (follow steps from side flat twist and repeat steps on the left and right side, use bobby pins to secure- done!). Promises: Pantene responds to your hair's structure to help bring out the beauty that's yours alone. 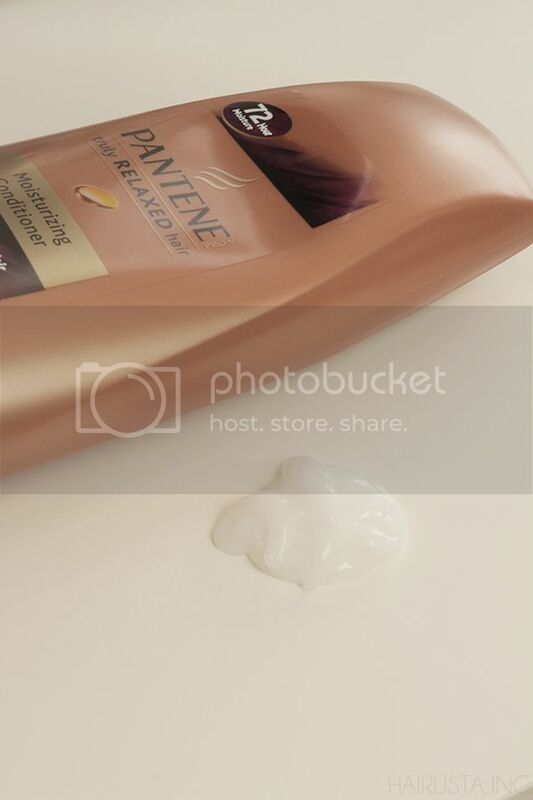 Pantene Truly Relaxed Line is a line of products designed to provide moisture for relaxed hair. 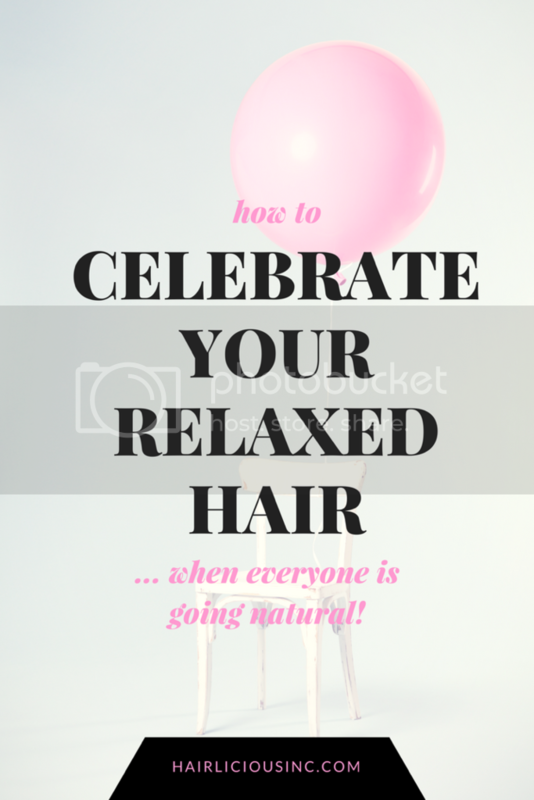 The relaxing process can be particularly damaging so each strand needs gentle cleansing with protection against dryness and breakage so you can grow healthy-looking hair. 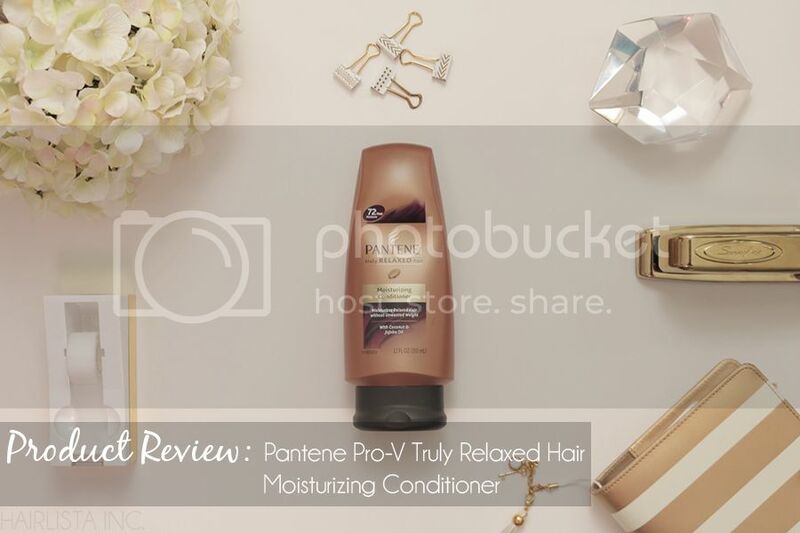 Pantene's oil enriched Truly Relaxed Conditioner moisturizes hair. Relaxed hair is soft, tame and strong against future damage. 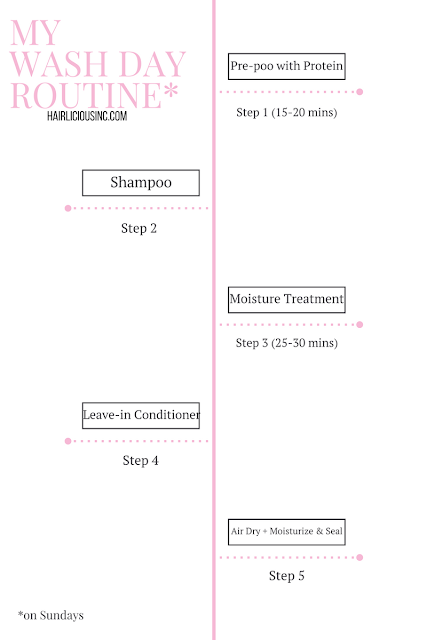 Directions: Massage into wet hair after shampooing. Start at tips and work toward roots. Leave-in for 2 minutes, rinse thoroughly. Gentle enough for relaxed or colour-treated hair. Ingredients: Water, Stearyl Alcohol, Behentrimonium Methosulfate, Cetyl Alcohol, Fragrance, Bis-aminopropyl, Dimethicone, Benzyl Ethyl Ether, Simmondsia Chinensis (Jojoba) Seed Oil, Cocos Nucifera (Coconut) Oil, Methylchloroisothiazolinone, Methylisothiazolinone. Truth: Absolutely amazing! This conditioner truly delivers. The results are consistent whether I am freshly relaxed or 12 weeks post relaxer. I use it strictly for co-washing. It has a great thick creamy consistency that applies easily to my hair. I love the slip and the detangling abilities it provides for my coarse relaxed hair. My hair air dries so soft, silky and full of volume - every time! Can only be found at some beauty supply store. Price: $7.99 CAD 12 Fl. Oz. I've found that crochet braids encompasses all of these things ... and more! The other day I posted a picture of my new protective style on Instagram and received requests to blog about this new do! My cousin was able to bless me with her skills (it was a first time for the both of us *Shhhh*) and we had so much fun doing it! She did my cornrows and then crocheted the individual braids. My cousin followed all the steps in the video below from Kiitana, to braid my hair in the "X" pattern. She crocheted my ends into the braids itself (to make it more compact). I have about 10 cornrows from ear-to-ear. The entire process took approximately 2 hours. 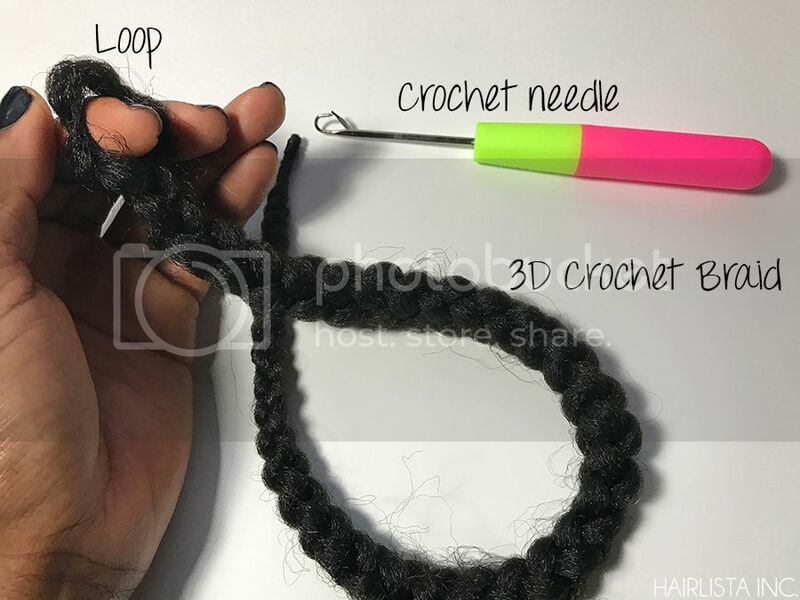 Below is the make and style of the 3D Braid that I used. I love the fact that the braid is in a cube-like form. It's 3 dimensional look makes it very unique and chic! 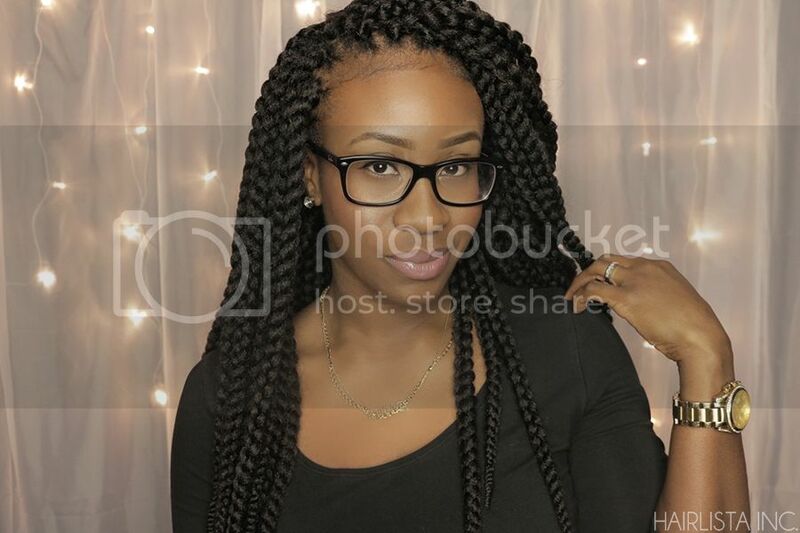 It reminds me of the 90's box braids style - which I love so much! I got colour 1B in 18" inches. It's extremely lightweight yet very textured and thick. What's also unique about this hair is that it's twisted at the ends helping to prevent the braid from unraveling. I used a total of 5.5 packs. Each pack was $10.99 CAD at the Beauty Supply Store. 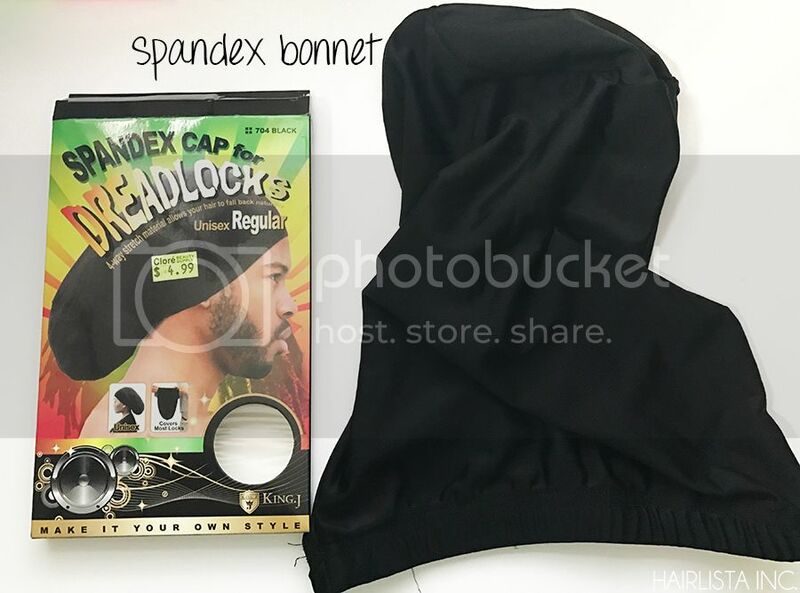 I picked up this spandex cap to protect my crochet braids at night. I use a long rectangular satin scarf around the perimeter of my hairline to keep it neat and fresh everyday. After I tie my scarf, I then tuck all of my ends into the spandex bonnet and pull it over to the top of my head. The bonnet is so stretchy with a satin feel and it fits all of my braids perfectly. I picked this up for $4.99 CAD at the Beauty Supply Store. Overall I'm loving this fall/winter protective style!!! My hair is tucked away and I don't have to think about it for a while. Plus, the hubby approves the new look :) I always wanted box braids but couldn't stand the thought of sitting down for 6-7 hours and worrying about my hair being dried out by the "braid hair". With these crochet braids, I can now spray my scalp and new growth with my Scurl No Drip (maybe every 2 days) with ease knowing that my hair will not dry out. To be honest my scalp is not used to the "tension", though it is mild. What can I say? I'm tender-headed! I know the feeling will pass over the next couple of days so I'm not worried. Anyway, I love how quick and easy it is to style-and-go! I think I will leave it in for approximately 3-4 weeks. I'm currently 13 weeks post relaxer so I'll probably remove the braids early December and relax shortly after. Promises: Creme of Nature Mango & Shea Butter Ultra-Moisturizing Shampoo is enriched with certified natural mango and shea butter. This formula gently cleanses and conditions while infusing dehydrated hair with moisture. Wet hair. Apply shampoo and work into lather. Rinse thoroughly. Repeat. 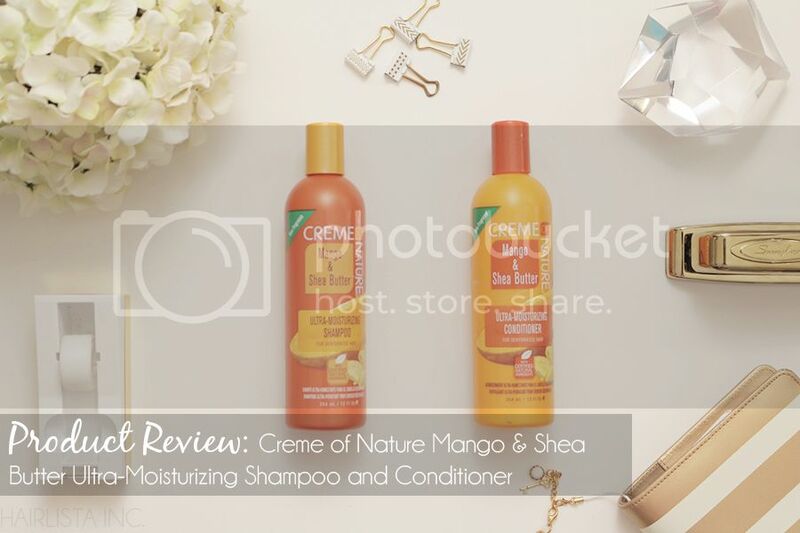 Next, condition with Creme of Nature Mango & Shea Butter Ultra-Moisturizing conditioner. Truth: The enticing titles "Ultra-Moisturizing" & "For Dehydrated Hair" captured my attention to want to try this shampoo for my high porosity relaxed 4b/c hair. After many washes with this shampoo I can actually say that it's very moisturizing and slippy despite having two surfactants (i.e. Sodium Laureth Sulfate and Cocamidopropyl Betaine) in the ingredients. 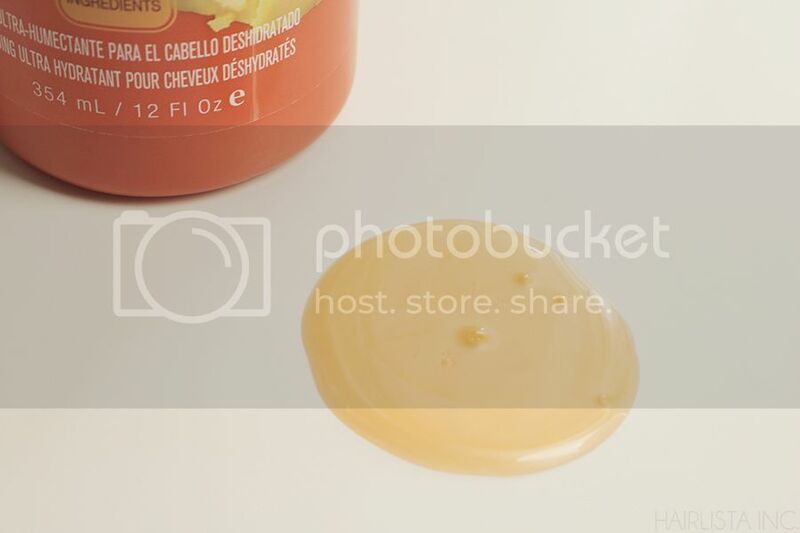 Though it does contain "Amodimethicone", a non-water soluble silicone, further down in the ingredient list there are two surfactants present in the ingredients. With the presence of surfactants, the "Amodimethicone" will not stay deposited on the hair. I love the fact that the shampoo is opaque in colour with an orange glossy appearance, not to mention it smells very fruity/tropical. The triple dosage of Mango Seed Butter, Shea Oil and Shea Butter really help to intensify the conditioning effect in the shampoo making my hair feel so soft and conditioned. Price: $4.99 CAD 12 Fl. Oz. Promises: Pamper your hair with Creme of Nature Ultra-Moisturizing Conditioner with certified natural Mango and Shea Butter. This formula deeply moisturizes and softens hair while adding shine. 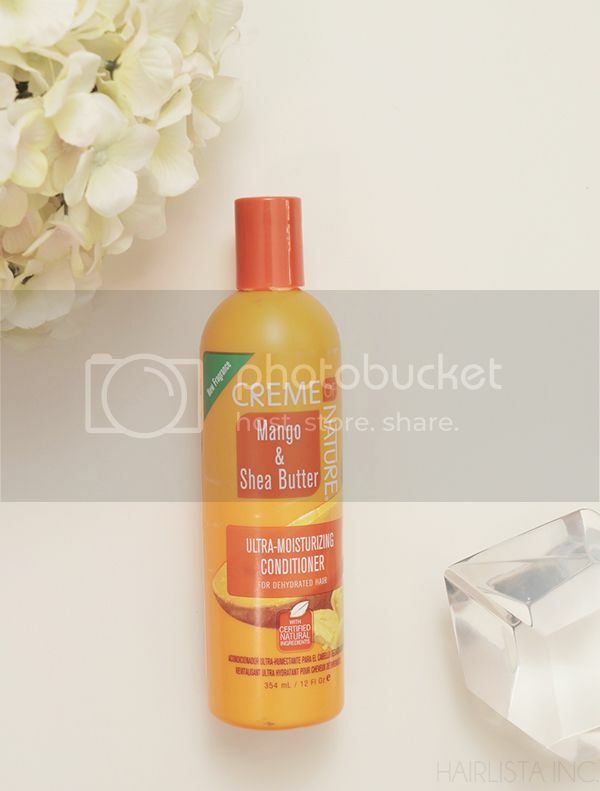 Directions: After shampooing with Creme of Nature Mango & Shea Butter Ultra-Moisturizing shampoo, apply a generous amount to hair and comb through for even distribution. Rinse then style. For deeper conditioning, after applying conditioner, proceed with hair steaming or sit under hooded dryer with plastic cap for 5-10 minutes. Truth: I've used this conditioner as a deep conditioner with and without oils for 20-30 mins using heat many times. Both methods worked out good. It spreads and penetrates easily into my strands making my hair feel soft. It has the same tropical fruity scent as the conditioner (this may bother some who are sensitive to scented products). Now, here's the part that disappoints me... I always look for the "moisture" and "slip" factor in a DC and this conditioner has fallen short - unfortunately. Slip is important as it helps me detangle my hair while in and out of the shower, without the use of heavy manipulation on my hair. With this conditioner, the slip factor is just not there for me!